Plays on a time location. While in play, any ships may time travel between here and corresponding spaceline location. 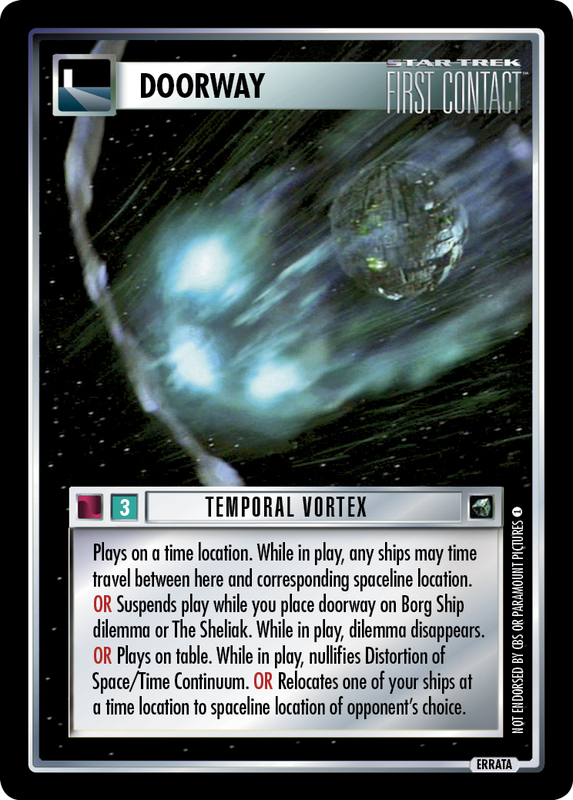 OR Suspends play while you place doorway on Borg Ship dilemma or The Sheliak. While in play, dilemma disappears. OR Plays on table. 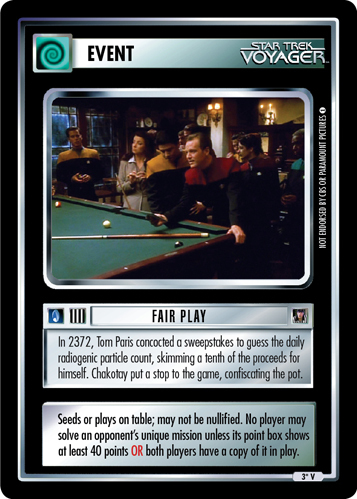 While in play, nullifies Distortion of Space/Time Continuum. OR Relocates one of your ships at a time location to spaceline location of opponent's choice.